Make sure you read everything below about what to expect and also note that the process will add at least 1 extra day to your lead time**. 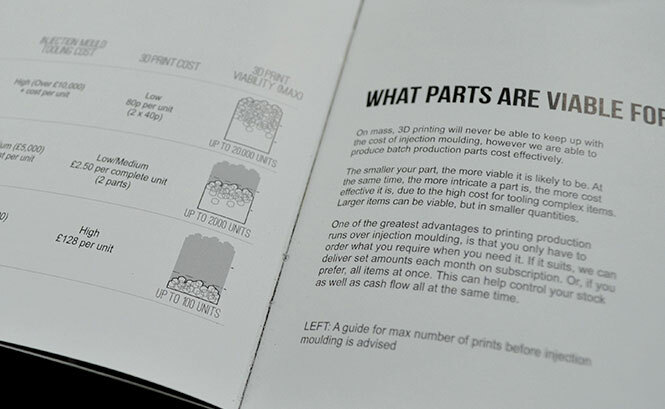 The offer is subject to availability and the polishing queue will use the same priority service used for print orders, i.e. Express orders will be polished before Economy orders if capacity is tight. *The maximum part size for polishing is approx: 150mm x 75mm x 75mm. If your model is nearing these dimensions we will let you know if it will be possible to polish. *We will use our discretion when polishing small items and parts with extreme detail and thin walls. **Large volume orders can take a few days due to the capacity of the polisher. So what are we doing with your models? The parts are washed with water to remove the excess nylon powder. 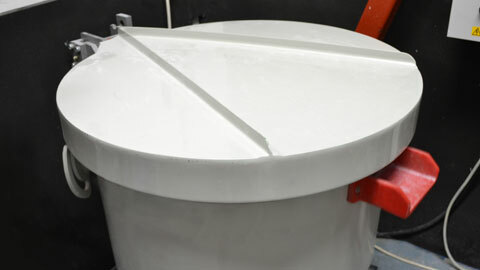 They are then placed in our vibratory finishing machine and polished. Why have your models polished? 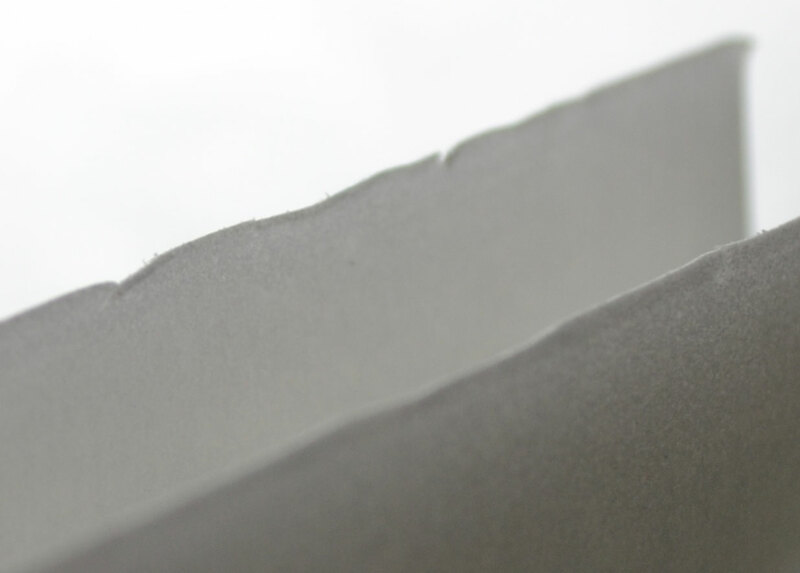 Our favourite surface texture comparison for untreated SLS nylon is that of an extra strong mint. 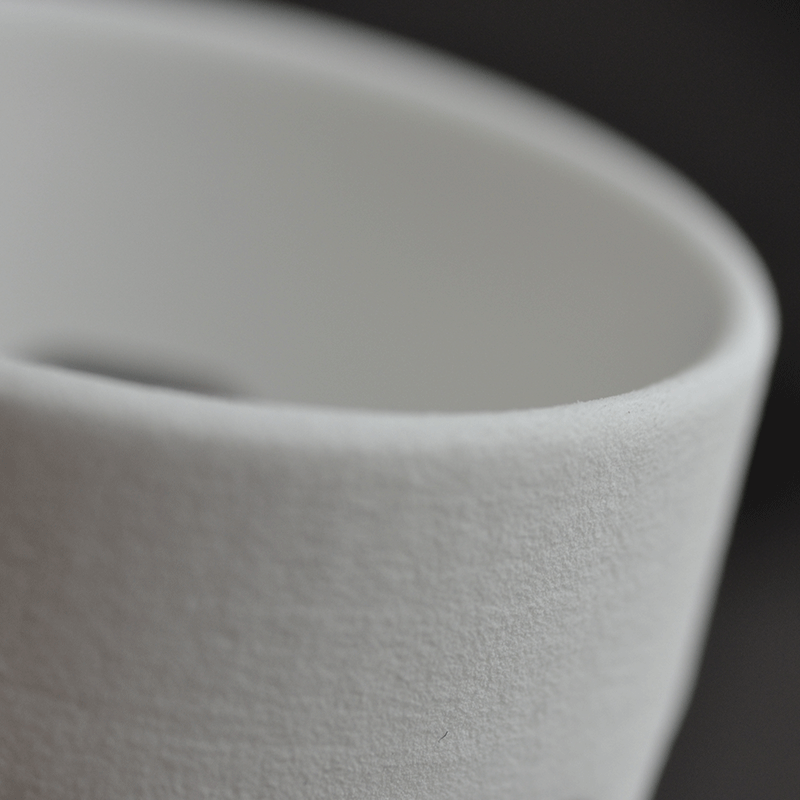 Polishing gives a texture more like a Mentos/Softmint. It’s not the ‘100%’ gloss finish you would find on an injection moulded part, but it’s not too far from it. It also makes the part feel a lot stronger to hold. Pictures of polished parts compared to the natural finish do not give the improvement justice – it really is a huge improvement. Please note that the images on this page are VERY CLOSE UP images of small items. The models in the photo’s are just over 2cm wide, so please bear this in mind! 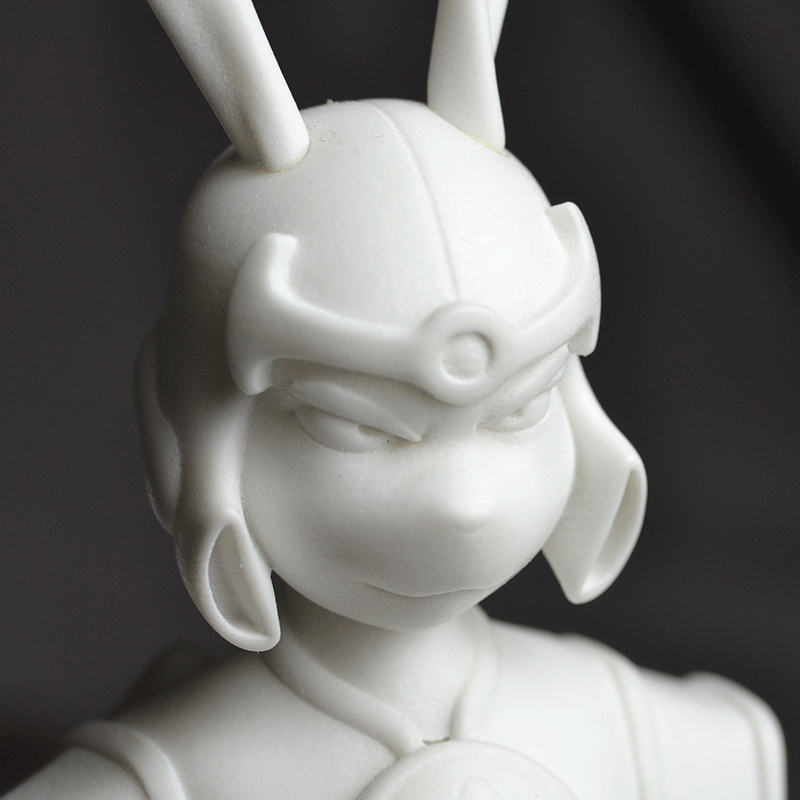 In terms of further finishing polishing makes the models much less time consuming to paint as less time needs to be spent sanding and smoothing the model off. Are there any downsides to this process? When we polish the models, the ceramic chips impact the surface and compact the outer layer of powdery texture to make it much smoother. We’ve noticed that it can reduce the outer dimensions by a very small amount, approx 0.1mm, and will fillet sharp edges to a radius of approx 0.1mm – 0.2mm. 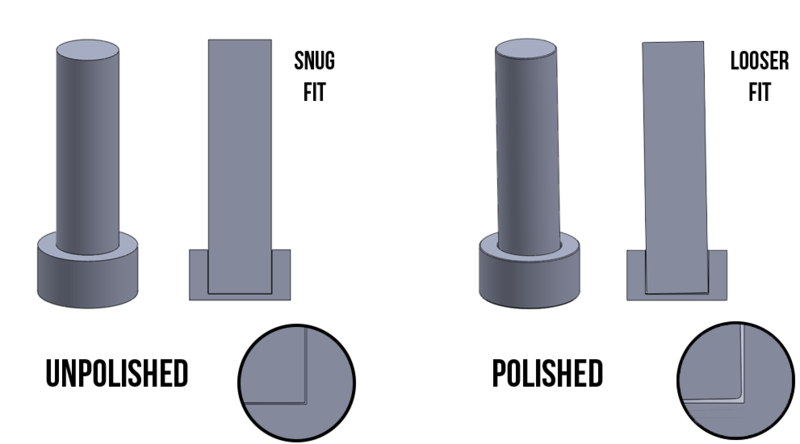 Overall the dimensions stay roughly the same, but you must consider this when choosing the polishing option. Polishing also makes parts slightly more difficult to dye as the absorbent porous outer layer usually found on SLS nylon is removed, however the dyed surfaces do not score easily like they do on unpolished items. Holes and small indents, e.g text, will not be polished as the polishing stones are too large to fit inside them. The parts are very slightly stained by the process from a brilliant white to a standard white. When polishing parts that have a tapered edge or unsupported walls, under 1mm, please be aware that it is highly likely that the part will be damaged during the vibro-polishing process. Unless it’s absolutely necessary to take this risk, we would advise not to polish that part. We recommend you thicken walls/end of the taper to a minimum of 1.5mm but we cannot guarantee that anything will survive below 2mm. We think the results are great! Actually, they are leagues better than the natural finish. We are in contact with the material every day and any slight change is enough to excite us, but the parts definitely feel much nicer and are much less prone to picking up dirt. Why not trial it yourself it while it’s free, just request it when placing your next order! 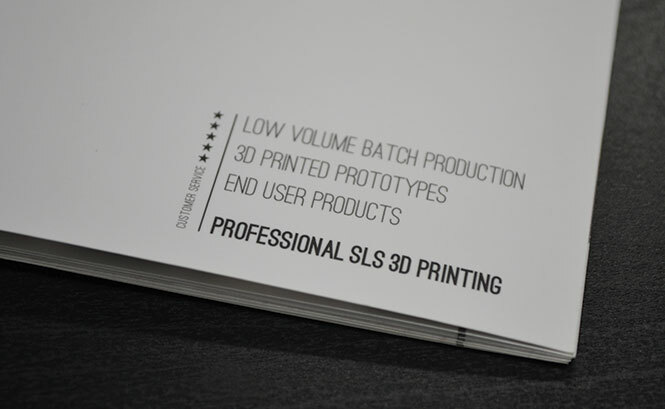 Want to test our material before you order? 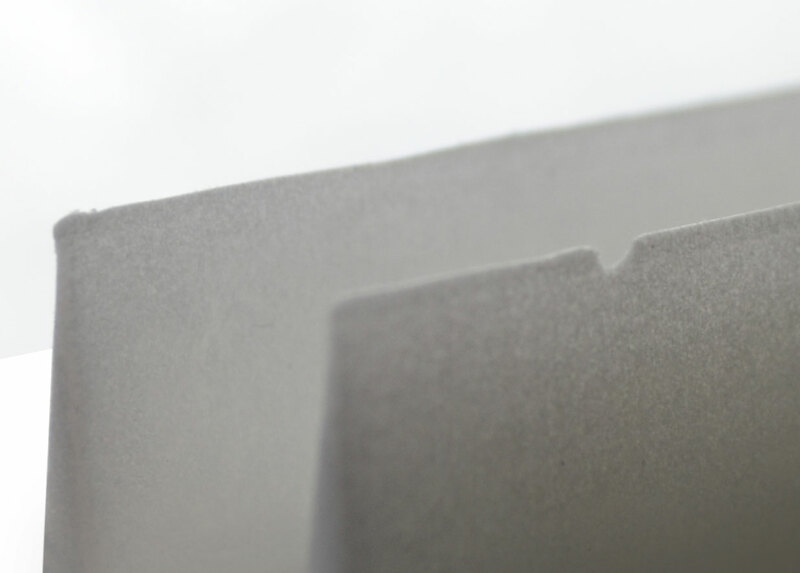 Before you place your order, if you want to be 100% sure that our material is suitable for your project, why not order one of our sample packs? 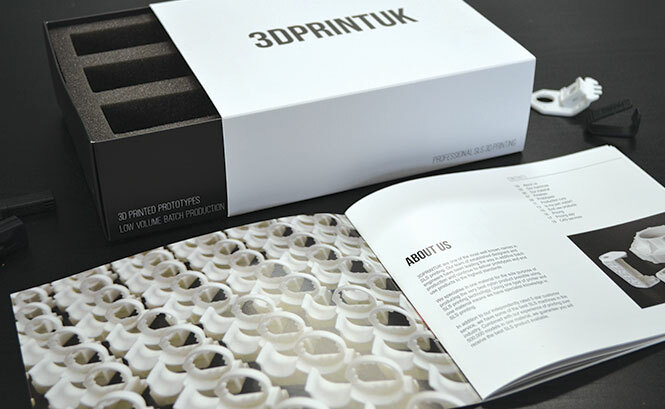 It contains examples of our four finishing choices, three unique parts designed to demonstrate the potential of printing in SLS nylon and a 20 page brochure containing information on our material, our services and tips on how to save money with your prints.